I reviewed Anthony Breznican's Brutal Youth, shared my October Wrap-Up, and took a look at my Year in Nonfiction. I tried a number of new recipes this week, including Croissant French Toast from Pioneer Woman. (YUM!) I also tried her Cheesy Cauliflower Soup. It flopped. I don't know what I did wrong but it was weird and grainy and I'm going to go ahead and assume that it was user error and not the recipe. 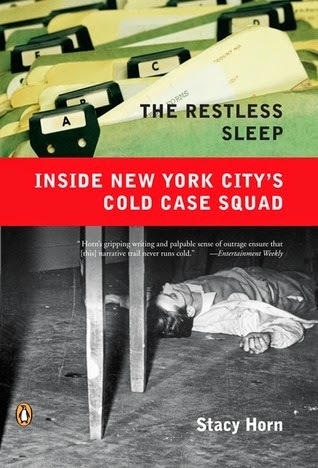 In order to participate in the Nonfiction November readalong of The Restless Sleep I decided to set Rebecca aside for now. I'll get back to it after this month. I'm still binge-watching Star Trek: The Next Generation. The husband and I have also fallen for the dark and twisty Gotham. Robin Lord Taylor's Penguin is maniacally evil, but so fun to watch! You'll definitely want to read this fantastic post by Michele of A Reader's Respite. She asks whether a book can be separated from its author. It's an excellent post that will give you much to ponder. The recent election results have me feeling severely disappointed. But you know what? I'm going to dispel those gloomy feelings by ending this post with a list of exciting personal news. I've started a job at Redbery Books, my local indie. How great is that?! My 14 year old daughter recently came out of the closet. She is brave and fantastic and there's no way for me to convey how fiercely proud I am of her. My oldest daughter is engaged! There's no date or any firm plans as of yet but she has a lovely ring on her finger and lots of ideas. There's plenty of time to plan since they won't actually walk down the aisle for a year or two. What's happening in your neck of the woods? I'd love to hear! Three cheers for getting rid of Tom Corbett! Congrats on the new governor. We needed one of those so badly. Sigh. I'm trying SO hard not to be bitter. Thanks! I think my crazy support might be driving my poor kids crazy, lol. I'd be the first one to fly a rainbow flag in front of our house. She's like, okkkkayyyy mom, calm down! Your wings photos make me giggle every week! Quite the momentous week for you! Hope you enjoy Nonfiction November. So many great and big things for you and your family! Big happy hugs to both of your daughters on their exciting steps and big hugs to you on the new job. I'll continue to look forward to how you're liking Gotham. i really wanted to watch it but we couldn't be bothered to actually set the timer (by "we" I mean my husband), so if it's worth it then we'll catch up on streaming. Happy week to you!! It's been quite a couple of weeks around here! :D Thanks! I would almost always rather watch things on Netflix. Somehow we started Gotham and have stuck with watching it the old fashioned way, lol. I wasn't overly enthusiastic about Mary Burke, but she sure would have been better than what we have now. At least you don't live where I do and have to listen to Walker for President. Kudo's to your youngest daughter. She is very brave and I wish her the best. My brother didn't fair so well in high school. It was the early 90's in western WI. He did have a supportive friend who he is still friends with to this day. He now lives in NY. I have a crazy week coming up at work. They want the budget done before everyone leaves for deer hunting - another joy of living in Wisconsin. I'm reading Cleopatra a Life - so far I like it. Have a great week and stay warm it is going to be a cold one. Thanks for your best wishes. I'm so glad that she's growing up now, vs. even a decade ago. I hope your brother is now as happy and as healthy as can be! Ha ha, oh Wisconsin. My hubby is gearing up for hunting season. I don't get it but he loves it. For him it's more about being in the woods with the menfolk than it is about shooting a deer. 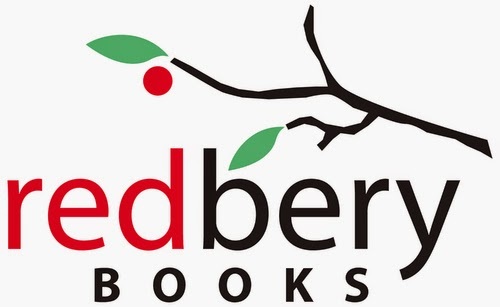 I am adding a stop to Redbery Books to my bucket list for the next time I'm in your area. It is so great to see local bookstores still making it. Most of them have closed around here - so sad. Oh good! It's such a lovely store. It's filled with personality and great people and I'm so happy to be a part of it! I ended up getting engaged a year before I thought I would (he surprised me with a ring before our last year of college) but we didn't take advantage AT ALL of all that time... slightly busy with other things, ya know. We ended up planning the whole thing in about nine months, which wasn't terrible, and helped by the fact that we picked a date without much competition (Friday the 13th). Congrats to both of your daughters! I live in NC, and was very disappointed in the election results. I'm in one of the two counties in the state that are progressive, it's the rest of the state that is soooo backward, it drives me crazy! Congrats to both your daughters, and to you on your new job (in a bookstore....how awesome is that?). It's been rough for progressives lately :( I guess we just have to keep on keepin' on. It has to get better in '16! I'm so excited for all of your big, awesome news (except for that governor of yours). I can't wait to hear more about the new job once you settle in! Stupid governor. Hmph! ;) Thanks so much, Shannon! Congrats on your new job and your daughter's engagement. The election was disappointing. Congrats on the new job, and for being so awesome and supporttive about both of your daughters :) The election results were disappointing, but unsurprising - typically it seems like elections alternate between Democrat & Republican, so I'm already expecting that Republicans will win most of the next major elections. Blech. I'm looking forward to 2016 now, lol. Wish we'd get there sooner rather than later. Pot pie! Omg that sounds so so so good! I'm going to look that up, NOW. Congratulations on your new job and to both your daughters! The croissant french toast sounds amazing and I know it tasted amazing...she has breakfast down! I featured her recipe for french toast casserole on Weekend Cooking awhile back and that was unspeakably delicious! She does, doesn't she?? I made her Sleepin' In Omelette and almost wept at how yummy it was, lol. I'm going to look up the casserole you mentioned. Mmm. Robin Lord Taylor plays that role perfectly; truly makes the show. Must admit as I'm in Australia I know little about the election results though many I know are unhappy. Also have to admit I really didn't enjoy Gotham. I only watched the first two episodes and gave up!!! Sounds like you had a great week in your personal life--cheers for both daughters!! And congrats on the new job; how very exciting! I'm with you. I couldn't even enjoy The Daily Show this past week. I was feeling so disheartened that I wasn't ready to laugh. Sigh. 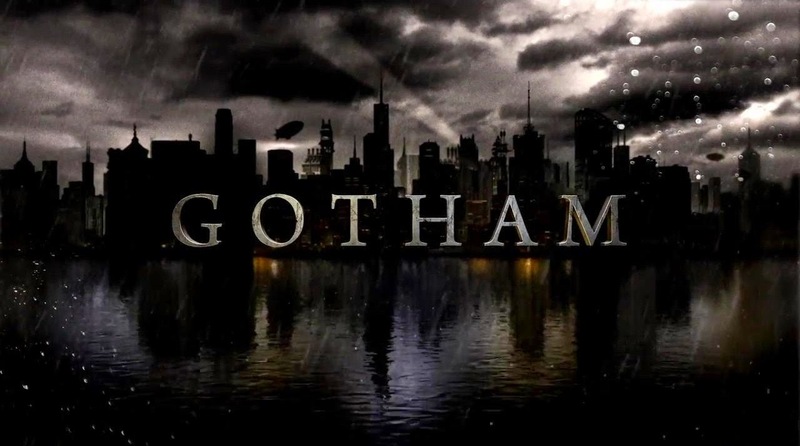 So I should continue watching Gotham...I've only watched the first episode, and I wasn't really impressed. And YAY for both of your daughters! I wasn't sure at first either...and it's definitely got a bit of cheese factor going on ;) But yeah, keep going and see if it grows on you! My son is autistic and a little obsessed with Batman so we have had to watch Gotham since the beginning, but I love it now! Great news on the job. I'm glad you are enjoying Gotham as well. It took me a few episodes to really get into it. Thanks for visiting me here! Croissant French toast?! I need that in my belly. It's interesting that your cauliflower soup came out weird and grainy; I tried making a creamy carrot ginger soup this week and had the same problem! I wonder what we did wrong. Wow...exciting news in your family! Congrats to you on your new job and to both of your daughters! Cauliflower has always been tricky for me. Even if I follow a recipe exactly AND I've made it successfully in the past, I still run the chance of the cauliflower working against me. I'm sure there is some botanical reason for that, but whatever. Stupid cauliflower! I haven't used it much and now I'm not inclined to do so again, lol. I'll stick to other, much more successful, soups from now on. Indeed we are! :D I'll have to take a lot of pics at Redbery to share. It's such a great place. Thanks, Lindsey! All your family news (including yours!) makes me so so happy. Yay Hartlings!! Thank you, friend :D The support we've received has been overwhelming and fab! The Restless Sleep sounds good. Rebecca is awesome if you are referring to the one my Daphne du Maurier. Yep, that's the Rebecca I'm referring to! I'll get back to it after Nonfiction November. Thanks, right back at ya! I was also disappointed in the election results, except in my own state. I'm just so glad to be rid of Tom Corbett! Congratulations on the awesome new job and the good news from your daughters! I was pretty happy with the election results here in CT. Even voted for a Kennedy, who won, beating out a guy who spent way too much money on slick glossy weekly mailings that focused more on the Kennedy name than his own plans. I am so not ready for another presidential election. My goodness but you have had quite a week! How wonderful that your daughter was able to come out at such a young age; so many young people feel they can't. Clearly, she knows she is loved regardless. Oh the elections. Why can't people stop believing the scare tactics? We had a long-term incumbent here endorsing commercials that were flat out lies about his opponent. Luckily, they didn't work and it was the one bright spot for me. Thanks :D She is very loved!